On 7th November, the Kenya Business Guide (KBG) launched its first sector Brief in Agriculture at the Strathmore Business School. Kenya Business Guide is an initiative that supports the improvement and strengthens business environment in Kenya. Policy economist Mr. Sahil Shah stated that Agriculture sector is Corel’s Kenya’ economy. He added that improvements in productivity and value-addition across agricultural sector will drive socioeconomic transformation and wealth creation. Agriculture stands for more than 50% of total export revenue, with 7 out of every 10 Kenyans depending in the agricultural sector for livelihood. Despite a 25% reduction in the output of Kenya’s main food crop, Maize, in 2017 due to adverse weather conditions and reduced overall agricultural contribution to GDP, Kenya Business Guide has dedicated efforts to the upcoming Medium Term Plan 3 as a clear indication for improving prospects in the sector as a whole. The overall GDP growth in agriculture sector is almost 4 times effective in poverty reduction than GDP growth from other sectors. Mr. Shah added that we must leverage synergies between agriculture and manufacturing sector to drive productivity, value-addition and employment creation in both sectors. Focus on irrigation projects are well founded and should be strictly put into practice. He noted that Urban Agriculture holds he key to countering youth unemployment and negative perception of opportunities among the youth. County and National governments should co-ordinate to restructure sector’s concentration away from low value subsistence farming to add value of farming through mechanization and technology adoption for both food and cash crops. Kenya Business Guide pushes that value-addition and mechanization of agricultural processes could open more complex value chain opportunities for Micro, Small and Medium Enterprises (MSMEs) that are economically stable and appeal to young people. 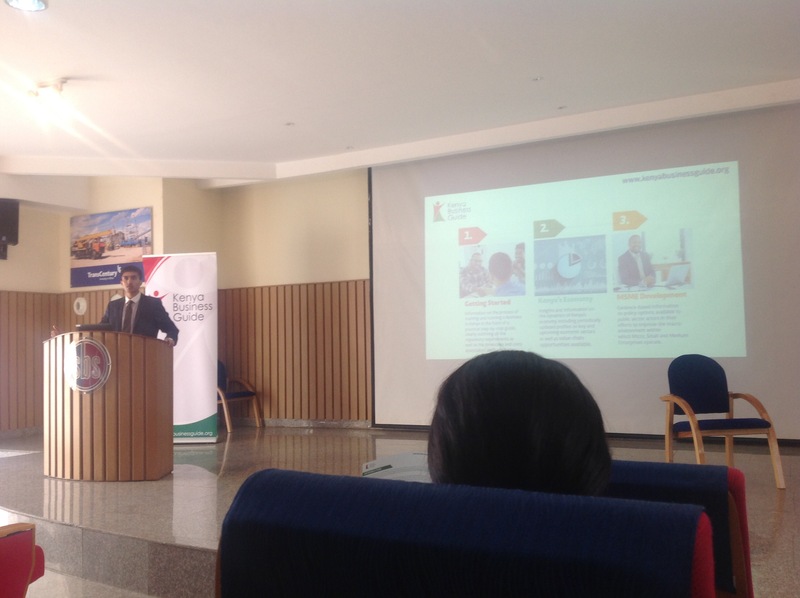 Mr. Sahil concluded that Kenya Business Guide (KBG) strategy takes a holistic approach to private sector development targeting all key actors within the business environment ensuring they have the right information to make right decisions. The Kenya Business Guide will regularly release sector and policy briefs, researched and developed in collaboration with Strathmore Business School. Further update and research can be found on their website here. The backbone of our economy is agriculture, therefore, the government should come up with strategies to make agriculture beautiful the youths so as they can begin investing in the sector. I believe there are already a lot of projects in place that promote youth to join agribusiness. It’s high time the youths changed their perspective and embraced agriculture as a profitable business. From both willing parties then it will make a great impact.